A ‘who’s who’ of the paper hygiene industry gathered at MIAC from October 10 to 12, 2018. 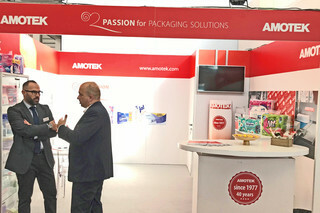 Amotek, based in the Italian city of Bologna, represented the Optima Group in Lucca, which is known as the European center of the paper industry. Changing markets. Your needs. Our passion. This is the slogan under which Optima presented at Pack Expo, the USA’s most important packaging trade show, between October 14 and 17. The company showcased flexible solutions to help businesses meet the current challenges. At P-MEC India, Optima will present the MultiUse concept. The fully automated and very flexible machinery can process different types of containers. 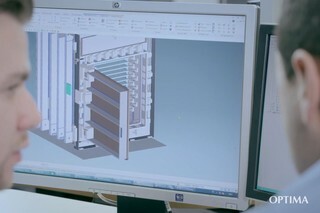 Another key feature of the company’s exhibition presence will be the modern engineering technologies that enable Optima Pharma to complete complex turnkey projects on budget and on schedule. Optima Pharma has been a member of the international organization LyoHUB since July 2018. 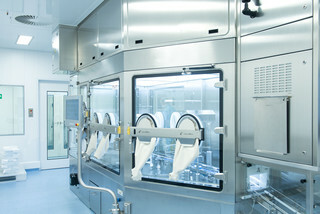 This platform is exclusively dedicated to industrial pharmaceutical freeze drying. As a member of this platform, Optima Pharma is joining forces with other companies to work on the future of freeze-drying processes. The benefits of close collaboration between experts are particularly apparent when it comes to processes as complex as pharmaceutical freeze drying. At the Optima "DO IT!" event for young people with a passion for technology, a lot was on offer. The most important rule: have fun! How much fun the boys and girls had can now be seen in the video. 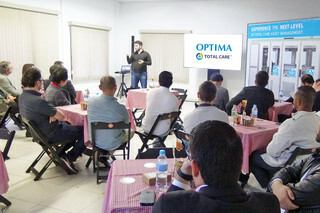 From 27 August to 14 September 2018, Optima do Brasil in Vinhedo opened its doors to customers and interested parties. Changing Markets. Your Needs. Our Passion. 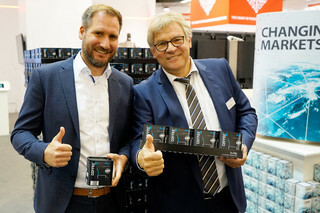 That was the Optima Consumer motto when the company presented in Nuremberg at FachPack 2018, from September 25 to 27. 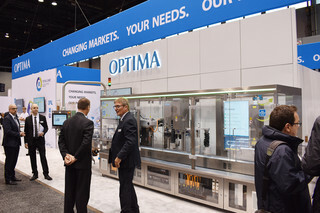 Sales Director Ulrich Burkart was pleased to note that 15% of visitors to this trade fair were new to Optima.